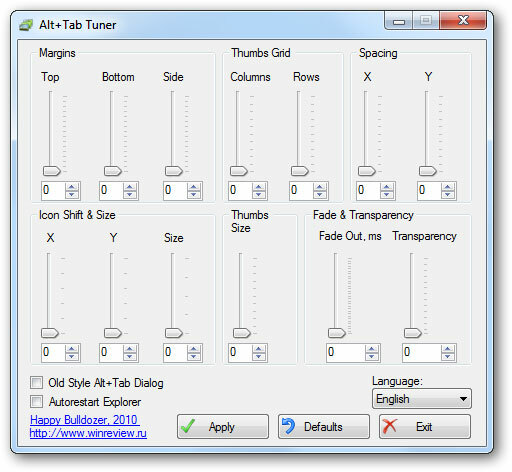 Alt + Tab Tuner is a free portable tool for Windows that allows you to customize the Alt + Tab dialog. Just run the tool, customize the settings and click Apply. If you like the old XP-styled dialog, check Old Style Alt+Tab Dialog. After you have messed up with the settings, click Defaults to revert them.